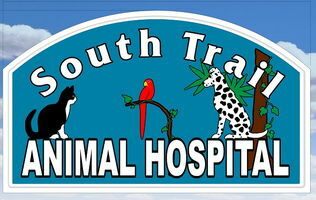 Here at South Trail Animal Hospital we take the utmost care of your pet while you are away! In case your pet needs medical attention while in our care, a docotor is always on staff! We love our furry friends and want everyone to remain healthy while boarding. That's why we require all of our guests to be free of parasites and be up to date on all vaccinations at the time of their stay. Call us to receive more information.